Every year in the summer season trekking parties set out on treks in the Himalayas. These treks are adventurous thrilling and provide an opportunity to get to know your hidden qualities. One of the well-known and popular treks is the Tungnath trek which begins from the Chopta area in Uttarakhand. This area of the Himalayas is the most untouched and unspoiled. Its natural beauty is amazing and will take you to a world which is far away from the noise and pollution of city life. You are not likely to forget your experience in the mountains of this region because of the unique experiences that you will have during your trekking trip. The journey for the Tungnath trek will start from Haridwar where you can visit the well-known Mandakini valley, the lake and the river. Then you will go to Chopta which is surrounded by dense forests of deodar, pine and rhododendron. The forests glow red as the flowers bloom on the rhododendron trees. From Chopta you will start for Tungnath and then on to Chandershilla which is the last destination. You can either take a train from Delhi to Haridwar or travel there by road. From Haridwar there is a 5-6 hour drive to Sari and then a 2 hours walk to Deoriyatal. This road is parallel to the Alaknandariver before it enters the Mandakini valley. The climb uphill is gradual all the way up to the beautiful lake of Deoriyatal. After Deoriyatal you take the road to Chopta in a 6-7 hour drive. This road is through dense forest and will keep you on the edge all the way to Tali. From there you will descend for some time to cross a stream and then climb up gradually till you reach Chopta. The hamlet is located in a tranquil setting and there are beautiful meadows surrounded by dense forests. Then starts the trek from Chopta to Tungnath and further on to Chandershila. You will start early and climb to the famous temple of Tungnath. The temple is devoted to Shiva and is the highest temple in Garhwal. There is a deep religious and mystical attribute associated with this temple which is no less due to its spectacular surroundings. Once you finish the trek you can drive back to Haridwar and take the train or road back to Delhi. During trekking in Tungnath, you will visit different kinds of places. You can find differences right from the hustle and bustle of Haridwar, with its temples and teeming population, to the quiet and serene Chopta which is untouched by commercialization. After this you will start on the rough and rugged terrain of the actual trek. There is also the religious importance of the temple of Tungnath and the mythological story that Lord Rama meditated on the Chandershila summit. The trek to Tungnath and Chandershila is also a journey of discovery of the self. This is because you will discover your physical, mental and emotional qualities that you never knew you possessed. 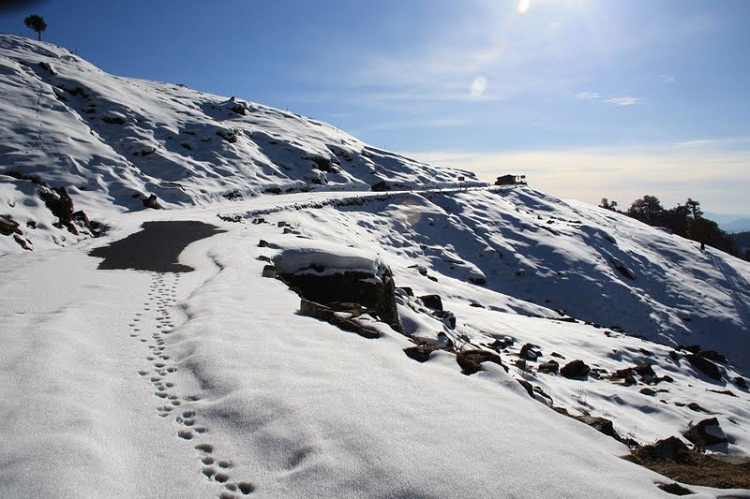 This is the reason that you will never forget the trek to Tungnath ever in your life.